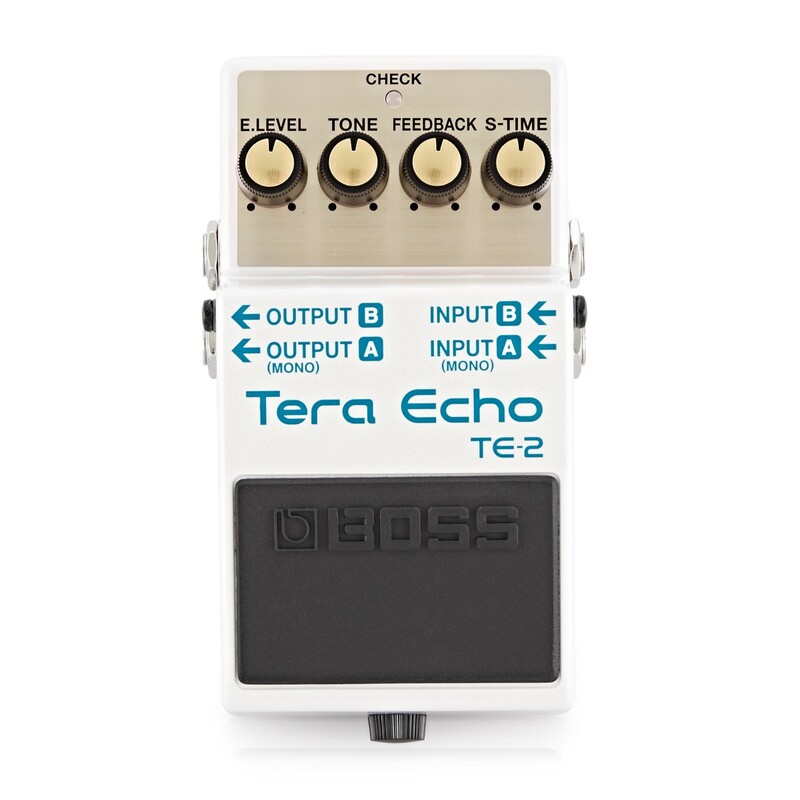 The Boss TE-2 Tera Echo Guitar Effects Pedal delivers dynamic, rich, spacious echo and ambient effects, featuring Boss? 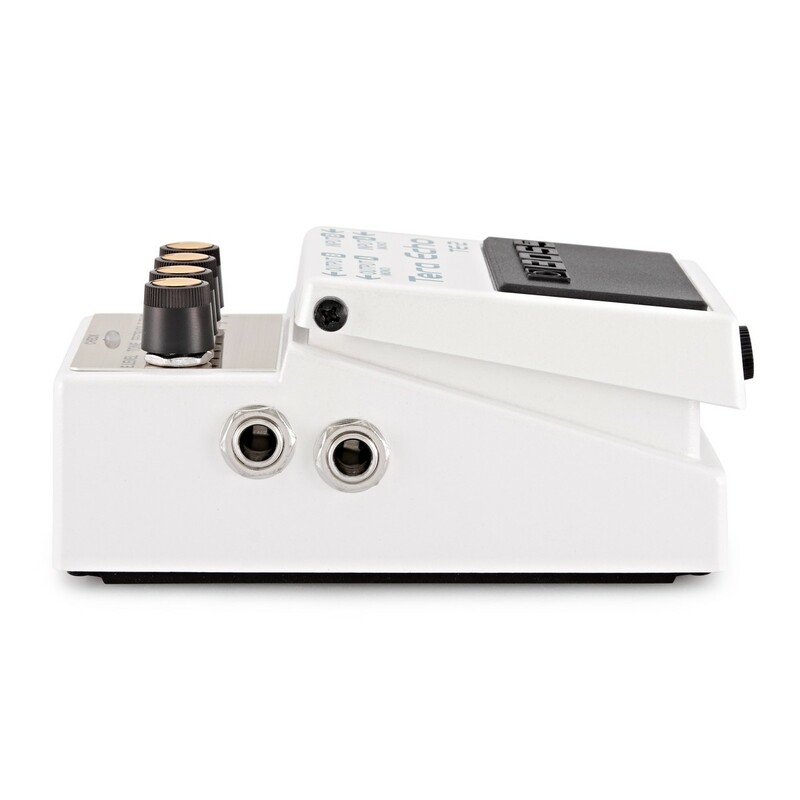 next-generation multi-dimensional processing technology to dramatically enhance your tone without overwhelming it. 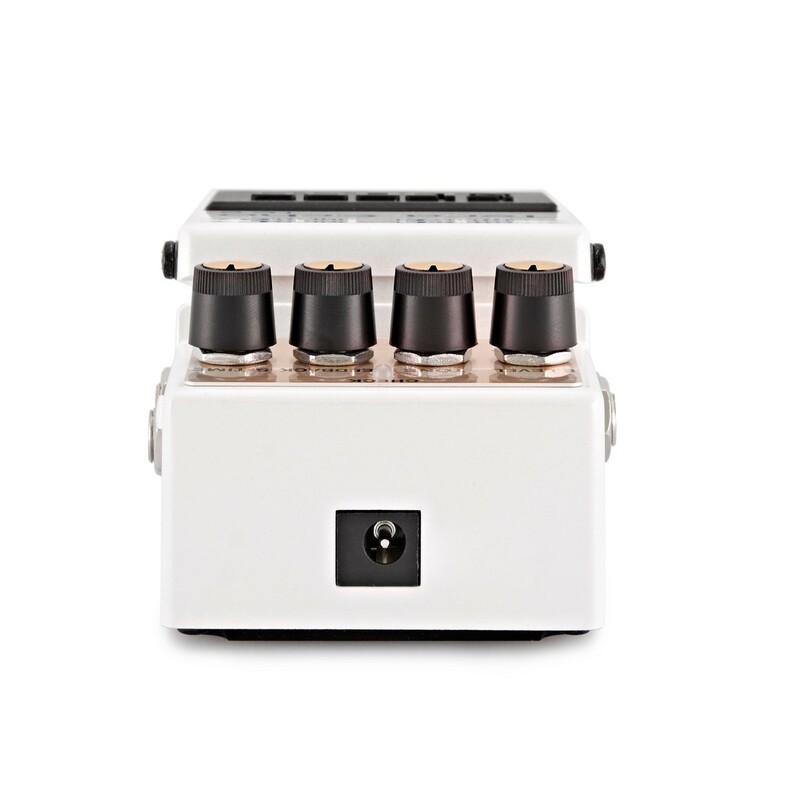 Create stunning soundscapes that respond to volume changes and playing dynamics, with powerful controls to provide a wide range of adjustments to your sound. A special freeze function allows players to hold the ambient sound to deliver stunning lead backings and sound effects. Also equipped with mono/stereo input and outputs, the Boss TE-2 Tera Echo is the perfect tool for delivering dynamic stereo ambience that goes beyond delays and reverbs. A unique feature of the TE-2 is Boss’ Multi-Dimensional Processing (MDP) technology, which works by analysing the studio signals in a variety of dimensions and then applying the perfect effect level to each stage. The end result is a bold, new sound with a previously unattainable range of expression and dynamic response. 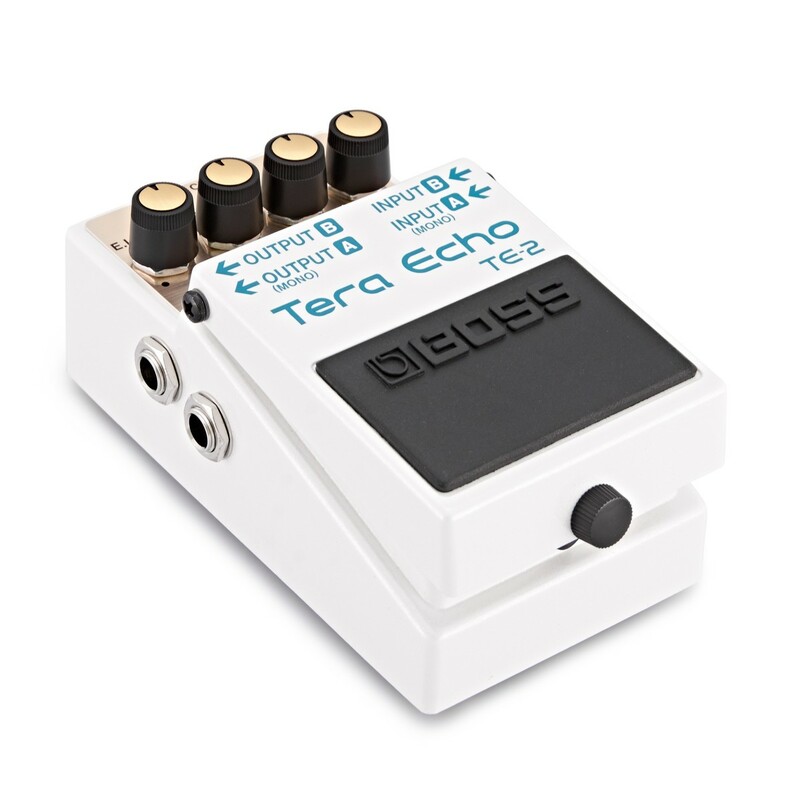 The TE-2 Tera Echo is the 100th model in the long and rich history of the Boss compact pedal series. The Boss compact range had passed into legend, becoming an important part in artistic expression for almost 20 million players worldwide. Its very existence is fuelled by the dedication and innovation to the player’s sound, starting with the iconic OD-1 overdrive and continuing all the way to this 100th pedal.